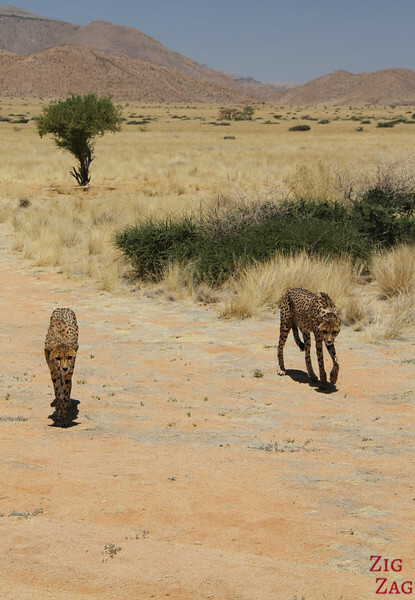 On the first stop on my 2 week trip through Namibia, the Namib Carnivore Conservation centre was a wonderful introduction to the African wildlife: an up-close encounter with cheetahs. The NCCC is a research and education project from the partnership between the N/a’an ku se Foundation and Solitaire Guest Farm Desert Ranch. 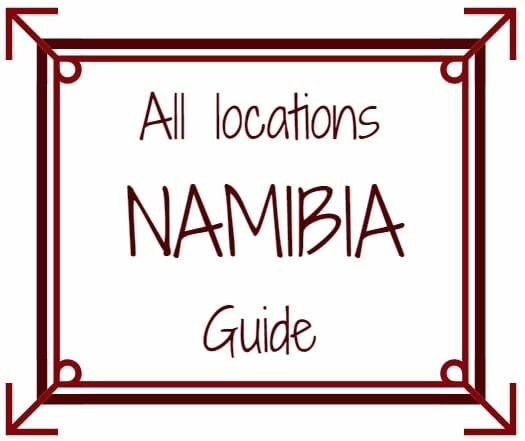 They aim to solve human-wildlife conflicts in Namibia. They take cheetahs from troubled areas where they risk being shot by farmers and re-locate them to areas they will be safe. If they can’t be returned to the wild, they stay at the Centre. 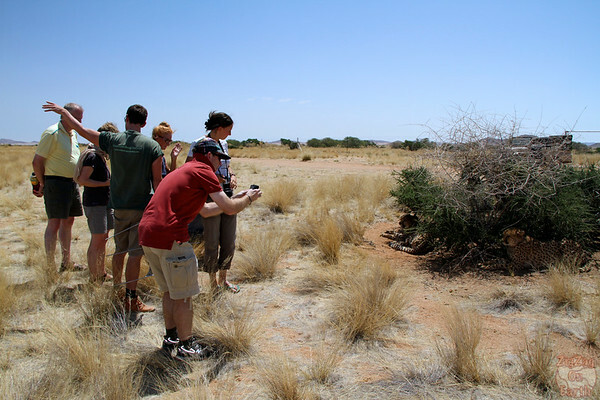 What I really like about that centre, compared to places like Africat, is that you get a more personnalized experience. There is a ‘homy feeling’. 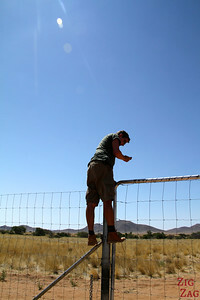 The centre offices are at the Solitaire Guest Farm – directions are well detailed on their page. 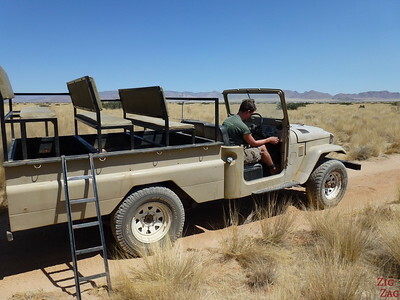 Jeeps take you on the ‘safari’ tour from the guesthouse to find the cats via radio-telemetry and walk to see them up-close. I can’t tell you the price as this was included in my organized tour. 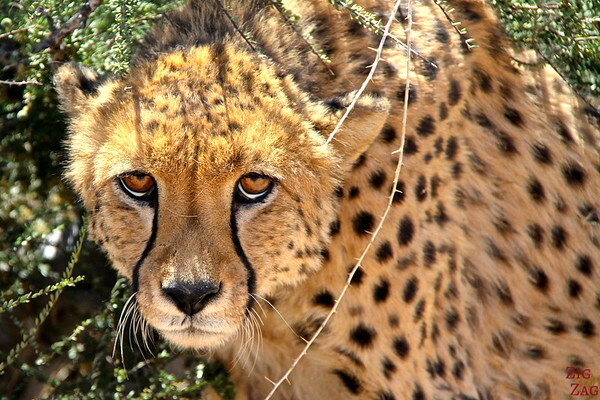 Some cheetahs cannot be released in the wild due to injury or because they were rescued very young and cannot handle living in the wild. In that case, the centre has a big land where they have created large enclosures for them. 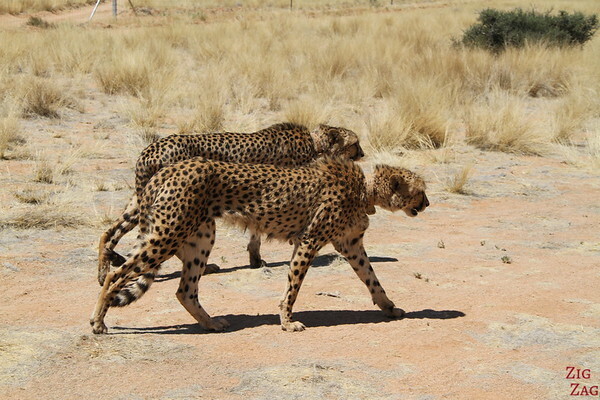 From the guesthouse, we took a jeep and entered the enclosure of the cheetahs. We were lucky to be quickly introduced to a brother and a sister who were 2 ½ years old at the time of my tour. They had been rescued very young and could not be reintroduced into the wild. So they were staying in this beautiful spacious area. This is when our guide informed us that we could get out and approach them. I thought ‘WHAT????’. At first it is scary, they hiss and stare at you but this is just to scare you. And I must admit that they arereally good at it. But in the end they do not attack. Seeing them ready to jump and showing their teeth, I was ready to get back in the car… We followed them around, observed them for a long time and got a lot of information from our guide Matt, one of the co-ordinators for the project. 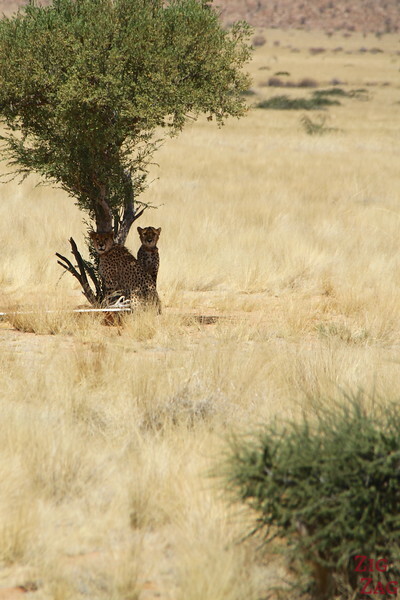 The time came to go back in the car and try finding other cheetahs. But the jeep absolutely refused to start again. Matt tweaked a little bit the motor and we drove maybe 50m before it broke down again and this time for good. We finally got ‘rescued’ and enjoyed some lazy time near the pool before moving on with our tour. At the end this is a fun memory and I really enjoyed my time there. 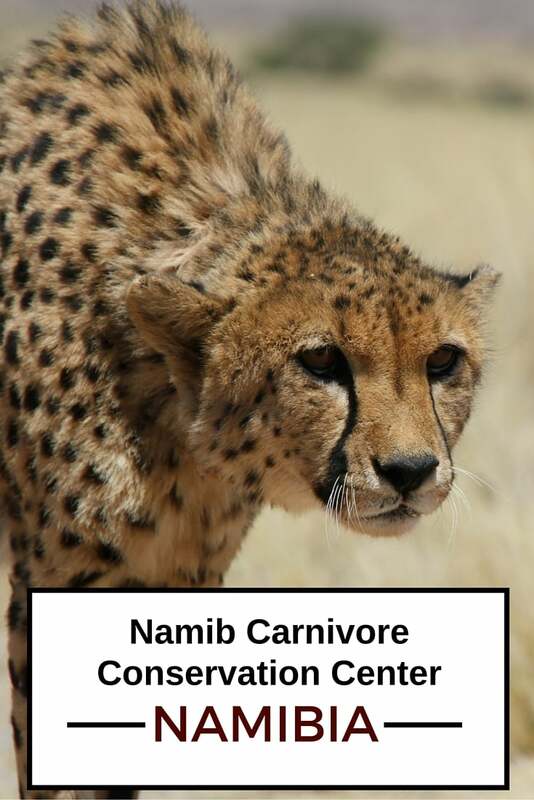 It could have been a lot worse in a leopard or lion enclosure… The Namib Carnivore Conservation Center is definitively worth a visit and if you decide to do so, you will also support their important work! Have you ever been that close to a wild animal?